We are pleased to announce exciting new developments and changes at Mat-Pac, Inc. In an effort to continue to add value to our customers, we have entered into a new strategic partnership with PDC International, Inc. This partnership will create a new food division at Mat-Pac, Inc that will be known as SSI-Food. This division will introduce new food products into our already growing and diverse product portfolio. Please see the attached press release which provides the details of this partnership. Monica Gallardo – Monica has been President of PDC International, Inc., a leading importer of specialty sugars, tuna, beans and other food products, for the past seven years and will co-lead Mat-Pac’s food products business. Prior to that, she served as Vice President of Marketing for Edge Display and International Marketing Director at Display Technologies serving Coke, Pepsi, Kraft and other Fortune 500 companies in the food and beverage industries. Monica has a Juris Doctor Degree in Law and Political Science from the Universidad Pontificia Bolivariana in Colombia. Mike Pitts – Mike is President of START Sales, Inc., a distributor of commercial and industrial material handling equipment. 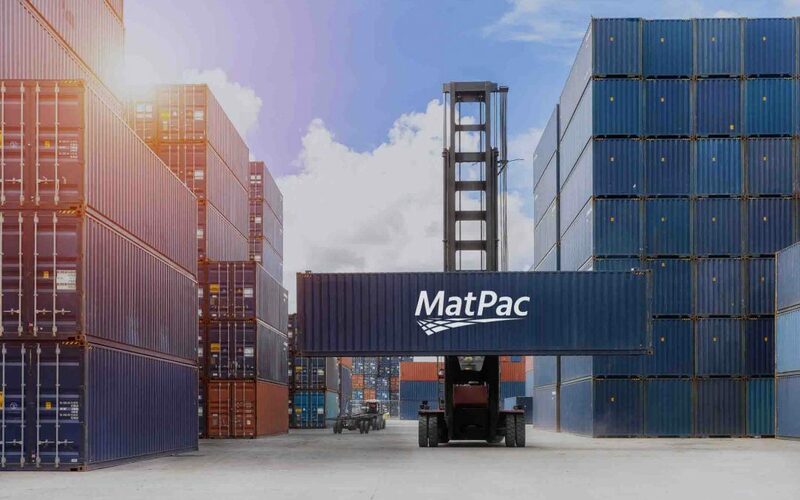 He will lead Mat-Pac’s material handling equipment business, while also representing Mat-Pac and South Seas International’s entire product portfolio. Mike has served in sales and management positions for several leading equipment manufacturers and distributors, including Karcher North America, Greenlee Textron, Inc. and Makita USA, Inc. Mike graduated with a Bachelor’s Degree from Montclair State University. Peter Leon – Peter is President of Inner City Sales and Marketing, LLC, established to assist Manufacturers and Distributors with the distribution of Candy, Snacks and Food Products into the inner City distribution channels. He will co-lead the food products business and will assume many of Mat-Pac’s and South Seas International’s existing packaging account relationships. Peter was Vice President of Thayer Metro, a master re-distributor of Candy, Snacks and Grocery products. Prior to Thayer, he held several sales, management and executive positions in the food and packaging industry, including several years representing Mat-Pac. Peter Anthony Almaguer – Peter Anthony is a member of P&J Marketing, Inc. and will represent Mat-Pac’s and South Seas International’s product and service offerings. He will also assist Peter Almaguer in managing his existing account relationships. Peter Anthony previously worked with Mat-Pac, so he has a good understanding of our business model and customer requirements. After graduating from Villanova University with a Bachelor of Arts Degree in Economics and Political Science, he worked as a Planning Analyst in the financial planning business. Please join me in welcoming all of these folks to the Mat-Pac and South Seas International family, we all look forward to serving your packaging, food product and service needs well into the future.